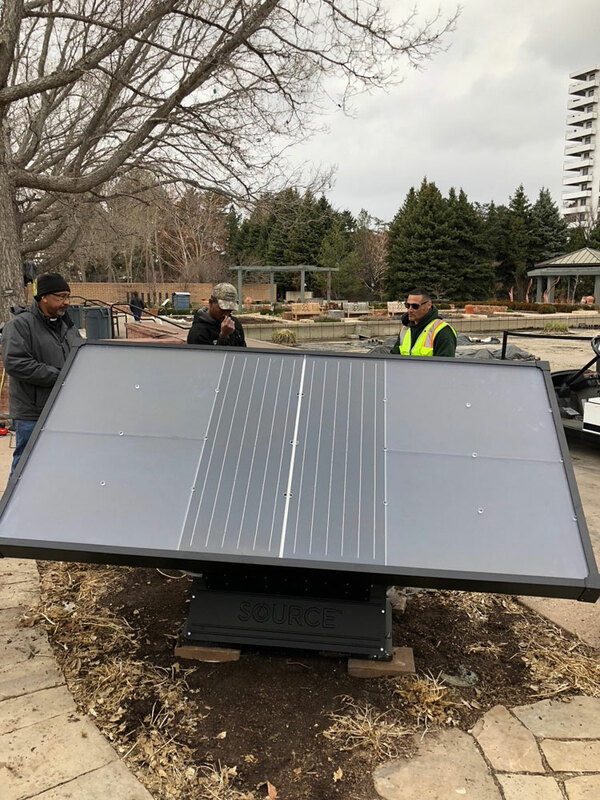 Denver Botanic Gardens recently installed four solar-powered atmospheric water harvesters – three at York Street and one at Chatfield Farms. 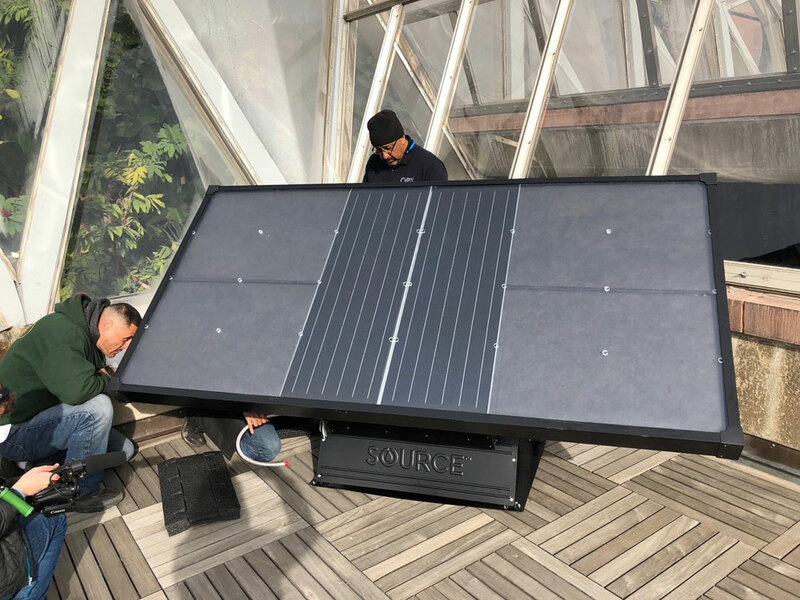 Using the power of the sun, these SOURCE units accelerate the condensation process to convert water vapor into water. All but one of the harvesters, which are made by Phoenix-based Zero Mass Water, are helping irrigate plants. The other offers visitors to the York Street location the opportunity to take a taste! Each SOURCE will generate between five and seven liters each day (not quite two gallons), storing up to 30 liters (almost 8 gallons) each in a built-in tank. This is one example of many partnerships the Gardens has with entrepreneurs as well as government and corporate entities to showcase and test water-efficient innovations. These are the first SOURCE units to be incorporated into irrigation. The Gardens is showcasing this technology as a potential solution to growing vegetables in areas without reliable fresh water supplies. Here is more information on other Gardens water-efficient partnerships, programs and initiatives.